While consultations between indigenous nations and modern states worldwide — mostly over resource extraction and development proposals — are in the news, little has been said about conditions for consultations. Since states and corporations are seeking to lend the appearance of meeting the free, prior and informed consent standard set by the UN Declaration on the Rights of Indigenous Peoples, it might seem reasonable that indigenous nations place conditions on how these consultations are conducted. In Peru, indigenous peoples recently withdrew from a consultation until the state addressed longstanding items of neglect, the logic being that if the state cannot resolve existing grievances over health, education and the environment, then why should indigenous nations meet to discuss allowing corporations additional access to resources in their territories. One of the indigenous proposals in Peru is to establish state institutions designed to interact inclusively with indigenous nations, so that grievances and proposals can be discussed and resolved. As indigenous nations and modern states seek a path to establishing constructive solutions to long festering conflicts, national and international institutions will need to be invented and reinvented. 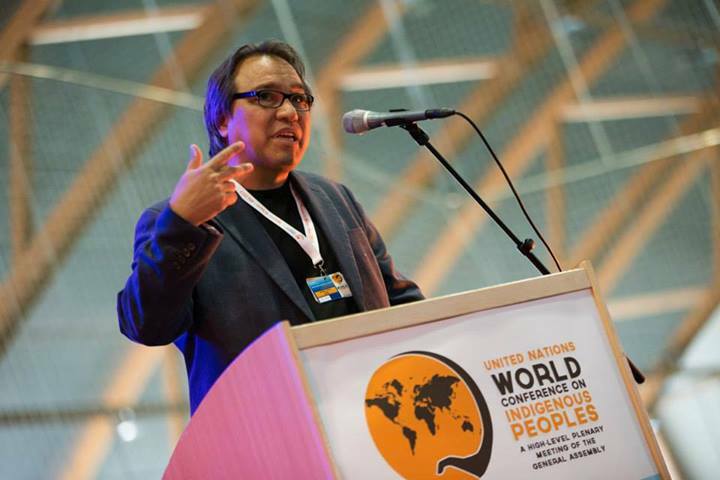 With the UN World Conference on Indigenous Peoples scheduled for September 2014, it is perhaps not too soon to begin. This entry was posted in News and tagged indigenous nations, resources, Rights of Indigenous Peoples, UN by Kim Kalliber. Bookmark the permalink.